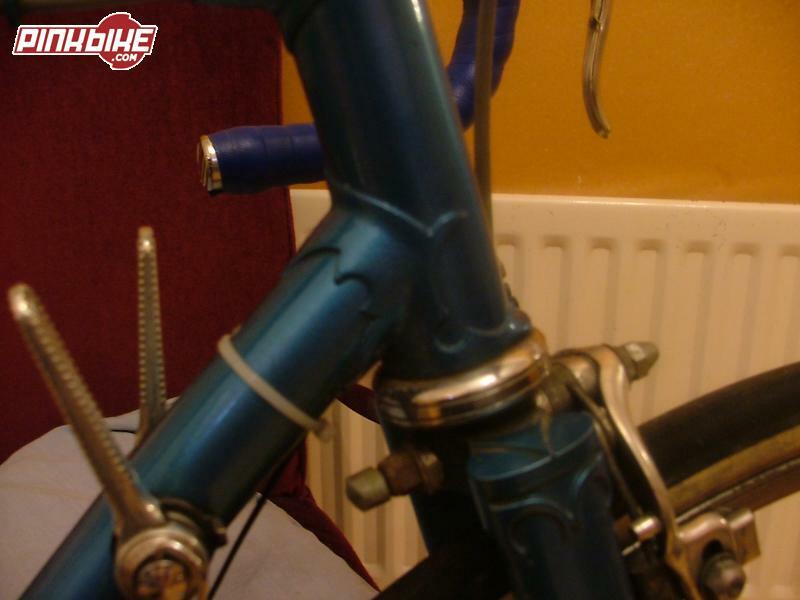 A Nervex Pro frame with an Ecla Superlite fork crown, possibly from a time when Nervex were far from common in the UK. 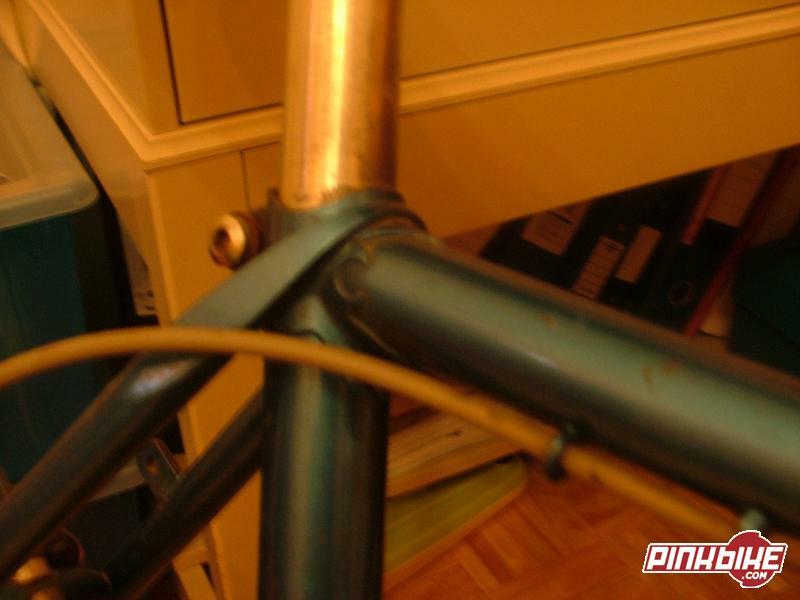 The photos are of a poor quality but show a quality frame which I stumbled across a few years ago in the Pink Bike Forum. The frame number was given as an MN and was pre-1958 and if so it would make it one of the the oldest recorded. Wrapover seatstays of the early type, curved seatstay bridge and very nice forks. If it is what I think it is, it is an important frame that challenges some of our past knowledge and beliefs. 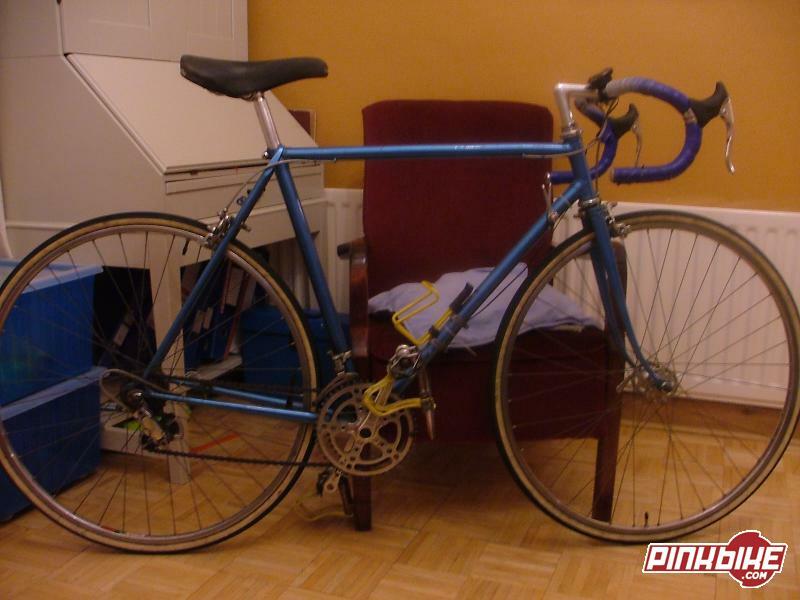 If you remember this bike or know its present owner please get in touch.